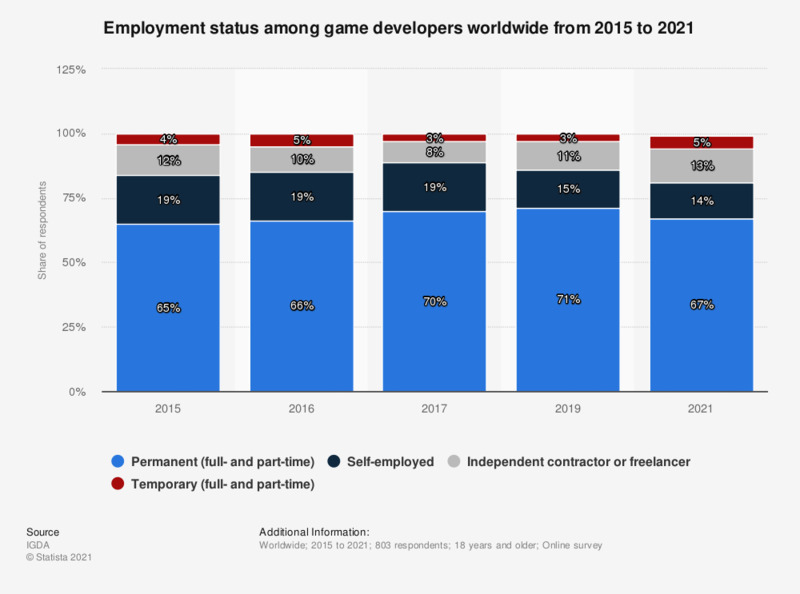 The statistic shows the distribution of game developers worldwide from 2015 to 2017, broken down by employment status. According to the survey findings, the majority of responding game developers in 2017 were permanent employees, both full-time and part-time, while three percent were temporarily employed. Figures for periods other than 2016 come from previous reporting. How important is having a diverse workforce (that reflects population) to your company?